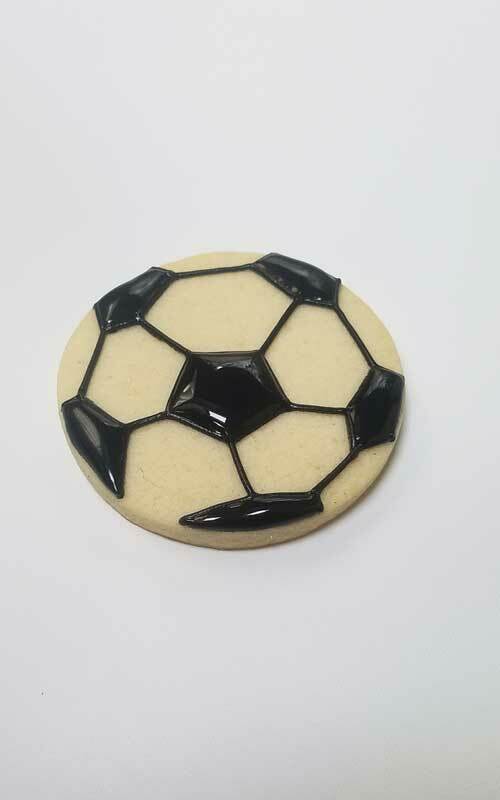 Soccer ball design seems so simple until you have to make Soccer Ball Cookies. Then it’s a whole new ball game. Modern soccer ball has 32 panels stitched together. 20 of those are hexagons and 12 are pentagons. 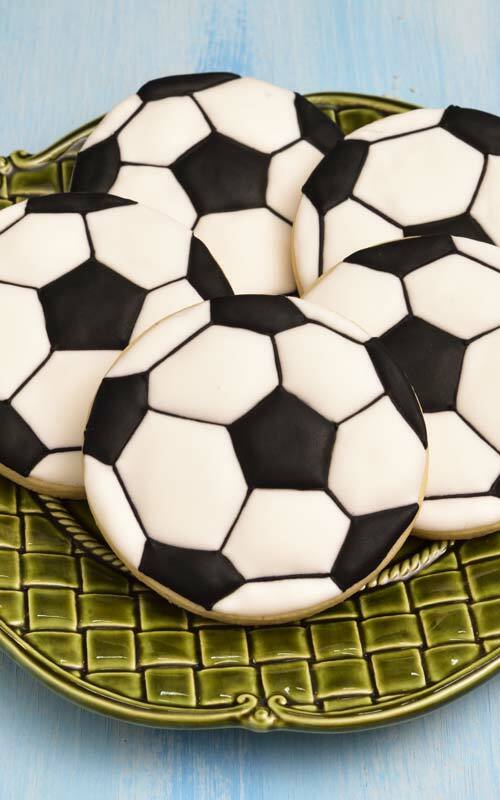 When it comes to decorating the soccer ball cookies you have decorating options. 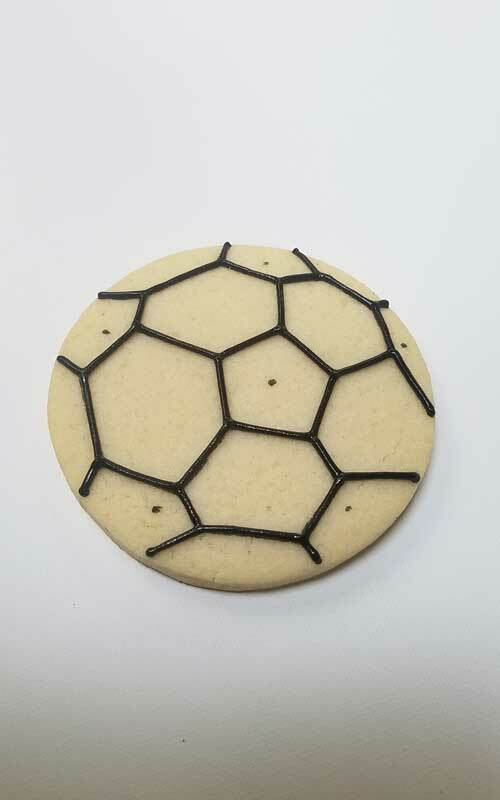 You can decorate cookies with black and white royal icing and pipe individual panels. Second option is airbrushing using a stencil and black airbrush food coloring. It is your choice which decorating route you decide to take. 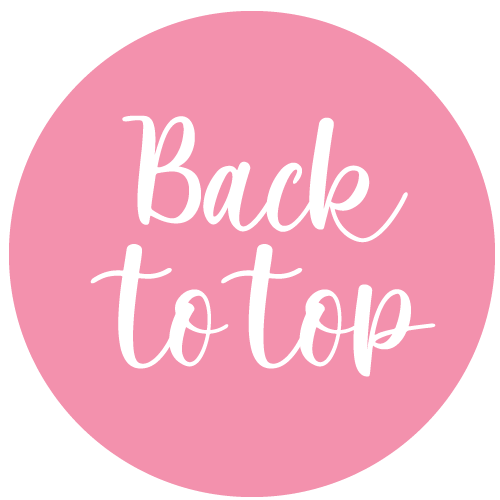 Greatly it depends on the tools you have on hand and on your desired finished design. I decided to take the old fashion route. Using tufting method and piping black and white panels individually. It takes longer to complete but the finished design with added dimension is more realistic than airbrushing. That being said airbrushing is a great option. It is much faster, too. Like I said it’s totally your choice. To trace the outlines of each section I used an edible marker. Make sure to mark the hexagons or pentagons with a dot. 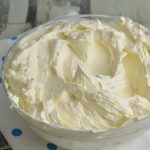 It makes it easier to navigate while you are decorating with royal icing. 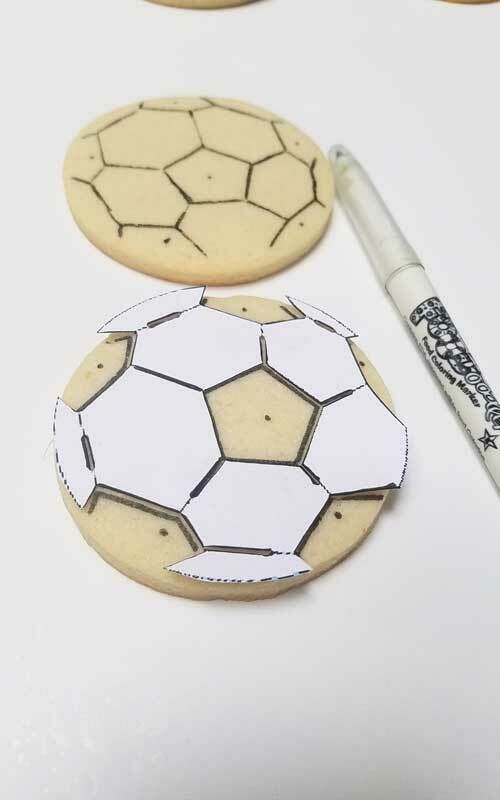 I don’t have a soccer ball stencil/template so I decided to make my own from a cardstock paper. I cut out sections with an exacto knife. You can find my template when you scroll down a bit. 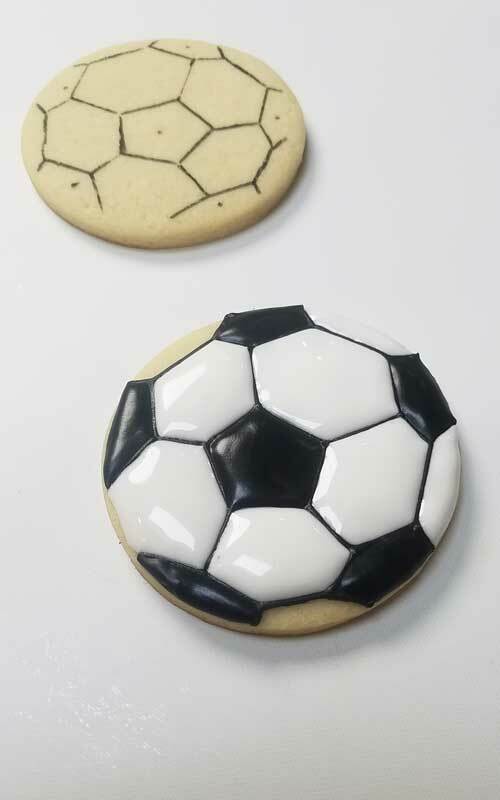 There is another option that eliminates the use of a template and it’s a soccer ball cookie cutter. 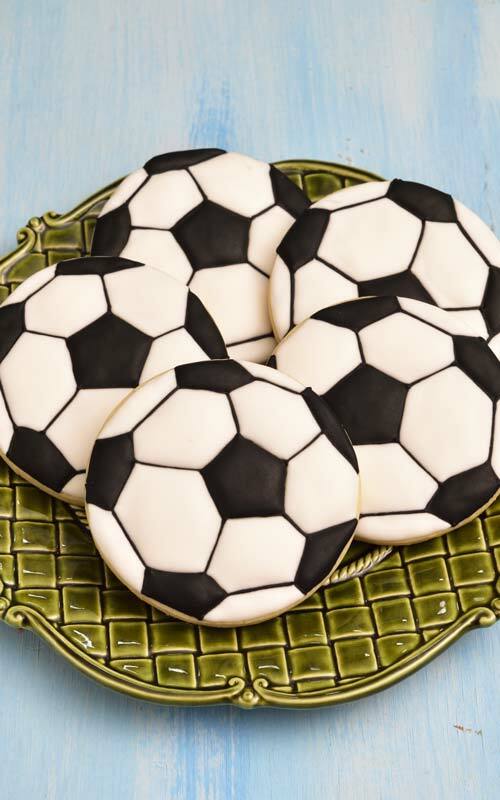 This cutter creates an imprint in your cookies before you bake them. The only disadvantage I find with using this cutter is that sometimes the cookie edges can become slightly mishaped in baking. Making it harder to the decorate cookies. Start with 20 second consistency black royal icing and outline each section and pipe connecting lines aka bridges. Trick is to make the bridges thick enough so when you fill in the white hexagons white will not cover the black bridges. 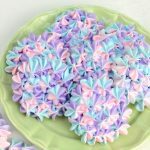 Use the needle to shape the icing while it’s still wet. This is especially useful when flooding hexagons and pentagons. 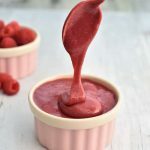 Use the needle tool to accentuate the corners. 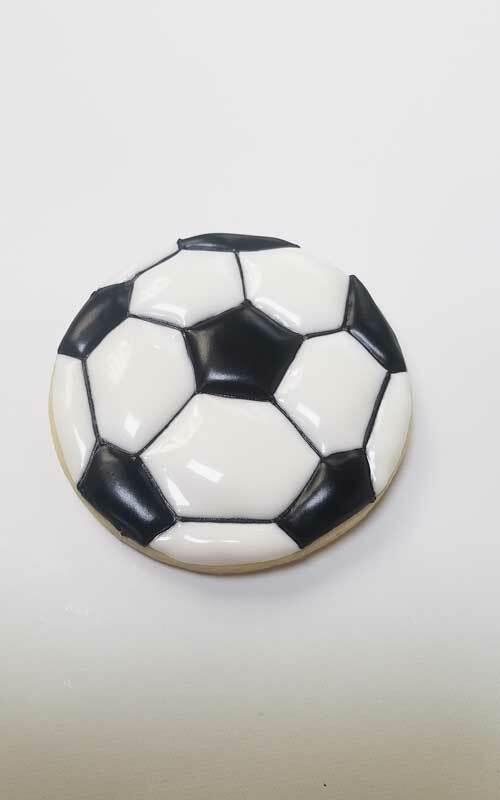 Filling the white sections can be tricky, try not to overfill the hexagons with white icing so the icing doesn’t cover the black lines/bridges. You can also try and ice every other section. Let it crust for 5 minutes and fill in the remaining sections. 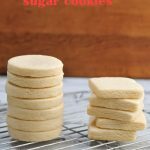 Cut out cookie recipes, I mainly use sugar cookies but you can use other cookie recipes as well. 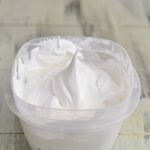 Check my recipe section.